Over the years, JL Lawn and Landscaping has perfected our quality landscape design services. From concept to completion, our team will work alongside you (the home or business owner) to develop a plan for an attractive, creative landscape, all within the framework of your budget and needs. Each project is regularly overseen by an experienced landscaper on site to ensure that it is completed to your satisfaction. Ready to give your property a fresh new look? 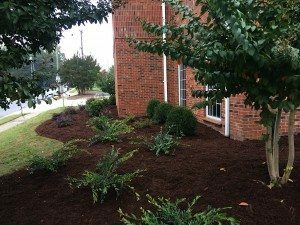 Contact JL Lawn via our web form or call us – Gastonia Location: 704-913-2944 / High Point Location: 336-442-1613.